I had heard good things about these Belfast rockers in the past. Their debut album Anthems of A Degeneration was released in 2008 but it wasn’t until 2010 when that debut was reissued that the band got on my radar. With shame I admit that Anthems of a Degeneration has remained on my Amazon wishlist ever since but at least I have been able to check out their sophomore effort A Sinner’s Saint. 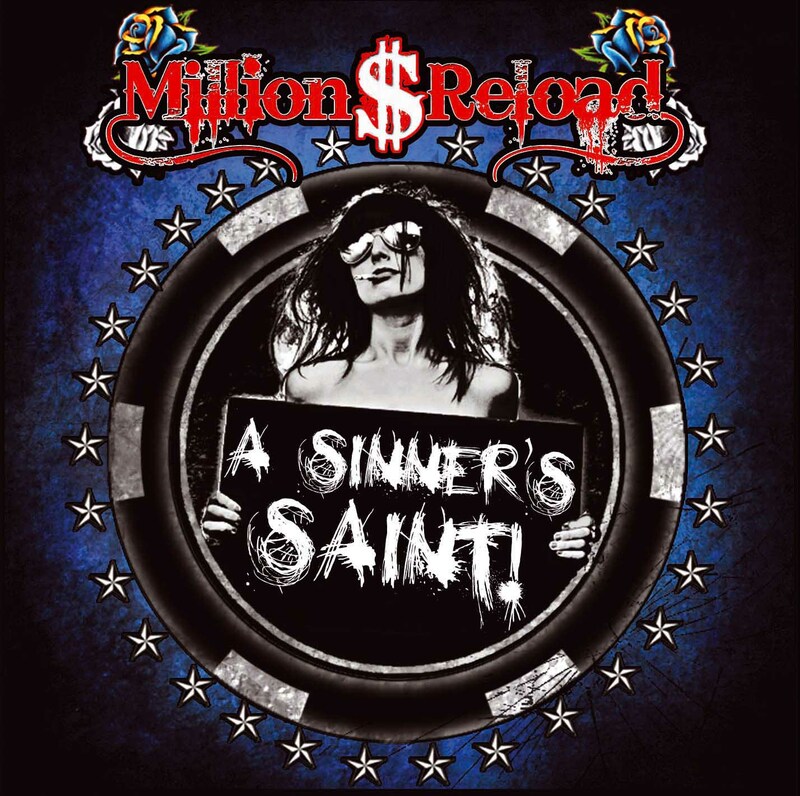 Million Dollar Reload (or Million $ Reload, if you prefer) are a straight-ahead, balls out rock band. Their sound is built upon foundation of blues-influenced classic hard rock acts such as Aerosmith and AC/DC. They also have been influenced by sleaze rock. I think the best comparison would be Buckcherry. Both bands have some great crunchy sleazy AC/DC & GNR moments but both bands have the ability to add some melodic moments as well. Million $ Reload tends be more loud, in your face and stripped-down overall though. In that regard, this band also reminds me of Dirty Looks because other than “Broken” they just don’t let up with their own brand of catchy hooks and dirty bluesy sleaze. All of this while not sounding like a retro band that just stepped out of a hot tub time machine! “Bullets In The Sky” is my favorite track. Stars off sounding like AC/DC then it turns into this great anti-war anthem: “I’ve seen your blood red war/I would do anything/I would give anything/To stop those bullets in the sky”. Good to see these guys have a bit of a conscience and aren’t just totally here to party. Another standout is the ballad “Broken”. Another fine example of melodic abilities this band possesses. It’s crazy how good these guys are. They should be out on tours with Buckcherry, Papa Roach, Guns ‘N Roses, KISS and Motley Crue. M$R are a band you don’t want to miss out on. If you’re a fan of any of the bands I’ve already mentioned, give these guys a shot. A Sinner’s Saint is one of the better releases of the year from one of rock’s most promising young bands.